Chael Sonnen is suspended from UFC, meaning his upcoming fight with Yoshihiro Akiyama will not push through. 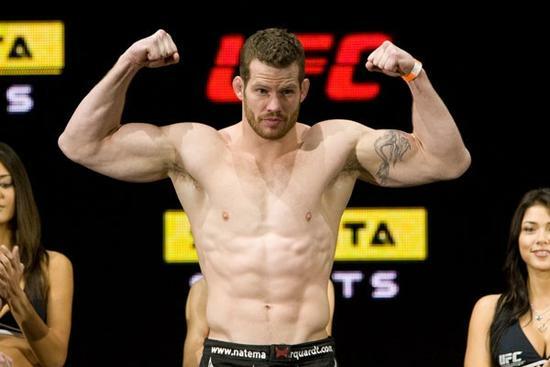 Nate Marquardt comes to the rescue. Though not yet official, Marquardt has already verbally agreed to fill in. Since Chael Sonnen has been convicted from money-laundering which prompted his suspension to UFC, he is now replaced by Nate Marquardt (30-10-2 MMA, 9-4 UFC) on UFC 128. Marquardt will meet Yoshihiro Akiyama (13-3 MMA, 1-2 UFC) on the said event. The Sonnen-Akiyama has been booked earlier, but certain measures prevented the matchup. According to certain sources, Marquardt has verbally agreed to step in for Sonnen. UFC 128 will take place on March 19 at the Prudential Center in Newark, N.J. It will feature a light-heavyweight title bout between champ Mauricio “Shogun” Rua and former champ Rashad Evans. Akiyama vs. Marquardt will be part of the pay-per-view main card. This will be Marquardt’s first fight after lossing to Yushin Okami last November. Prior to the defeat, he went on 5-2 in his seven fights since his unsuccesful fight with Anderson Silva. He also lost a fight with Chael Sonnen at UFC 109. On the other hand, Akiyama is one of the biggest blow to UFC at 2009. He made his octagon debut at UFc 100 and edged Alan Belcher via split decision. He then suffered a submission loss to Chris Leben and a split decision dfeat to Michael Bisping.